Here’s a hot deal from Amazon Underground! 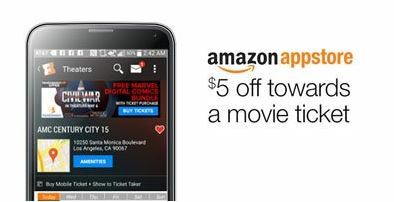 Right now when you use Amazon Underground to download the Fandango App you will receive $5 off of your next movie ticket purchase. If you do not already have Amazon Underground on your mobile device, click the Download button HERE to install Amazon Underground and then the Fandango app. Then from the Amazon Underground app install the Fandango app and an email will be sent containing a $5 promotional code*. Please allow 24-48 hours to receive the confirmation email. Offer only valid for downloads on Android devices. Limit 1 per customer. If you have already downloaded the Fandango app, you will not qualify for the benefit. On August 2 and 3, participating LEGO Stores retail locations will offer a LEGO Apple Mini Model Building Event for free when you register with this form. Kids will learn how to build the mini model and then get to take it home. This event is open to children ages 6 to 14 only and valid while supplies last (about 120 sets per night, per store). Check out the Summer Staycation Guide, Things to Do page and Events Calendar for more activities and deals! Hurry over to Shutterfly where you can choose your freebie! Get One Set of Playing Cards, Mousepad, 5×8 Notebook, or iPhone Slim Case with the coupon code: YOURCHOICE at check out. Choose one free set of playing cards, one mousepad, one iPhone slim case or one 5×8 notebook through shutterfly.com, our mobile-friendly site. Promo can only be redeemed once per account and/or billing address. Taxes, shipping and handling will apply. Alternatively, customer may apply the current price of an iPhone slim case (after taking into account any current discounts on shutterfly.com) toward the purchase of an iPhone silicone liner case. Not valid on other products, prepaid plans, prior purchases and orders placed for in-store pick up. Go HERE to choose yours! The Magic House holds Emerson Free Family Nights every third Friday of the month from 5:30 pm to 9:00 pm. These special nights give families – up to two adults and four children, FREE Admission! . 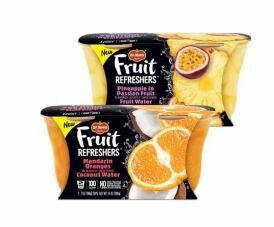 Hurry over and download this Shop ‘n Save Coupon for one Free Del Monte Fruit Refreshers. Can you believe that summer is almost over! If you’re looking for a few free or inexpensive things to do before summer ends here are a few fun ideas. 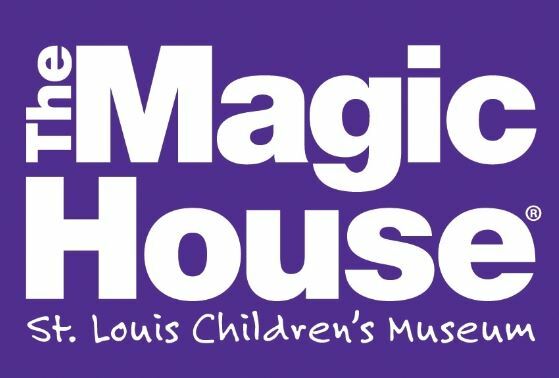 The Magic House: holds Emerson Free Family Nights every third Friday of the month from 5:30 pm to 9:00 pm. These special nights give families – up to two adults and four children, FREE Admission! July’s event will be held on the 15th. 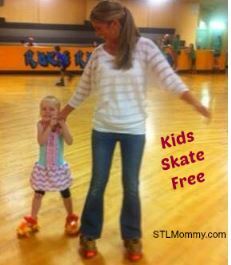 Kids Skate Free: Each center has their own rules to participate. In Arnold you have to be 10 or under in Belleville you have to be 14 or under. Be sure to check the rules for your participating location. Kids Bowl Free: Children whose age does not exceed a limit by a participating bowling center are eligible to register for 2 free games a day, all summer long, courtesy of the participating bowling centers along with the schools and organizations. Check Groupon and LivingSocial – Daily you can find huge discounts on activities for the entire family on these daily deal sites. For instance right now you’ll find 264 items in the Things to Do category on Groupon. My recent purchases have included Sky Zone Fenton, Jellystone Park Resort, Swing-A-Round Fun Town, Chesterfield Family Aquatic Center and more! Muny: St. Louis’ outdoor theater offers a select amount of free seats for it’s productions. View this years schedule HERE. One of my favorite Summer Activities is to catch a movie during the Wehrenberg Family Summer Series available through August 4th on Wednesdays and Thursdays at 10am for just $1 per ticket. Or you can catch a movie or $1 during the Regal Summer Movie Express promotion at 10 a.m. on Tuesdays and Wednesdays. Regal Gravois Bluffs Stadium 12 and Regal St. Louis Mills Stadium 18 & IMAX Hazelwood are included starting June 3rd. Another fun free event is Ballpark Village Free Movie Mondays. The movies begin at 7pm on the Outdoor Busch II Infield. This months movie is Frozen on July 25th. And the Art Hill Film Series on Fridays throughout July. This weeks movie is Rocky. 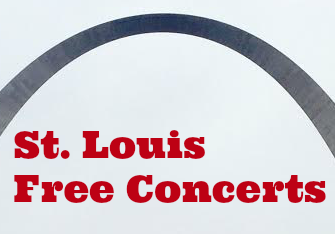 Each week I post the Free Concerts Calendar for the St. Louis Area courtesy of FreeConcertsSTL.com. This week you can head to Tower Grove Park for the 2016 Summer Children’s Concert Series, watch Dr. Zhivegas, the Beale Street Concert Series and more. We all need to get out of the house once in awhile and I don’t know about you but my kids never stop eating in the summer.. Be sure to check out the Kids Eat Free list for daily deals and discounts. 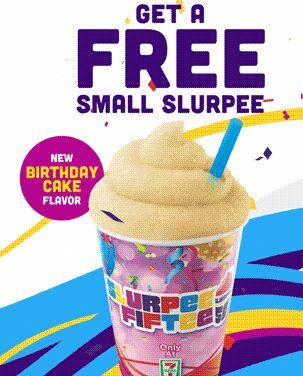 7-Eleven: Get a Free Small Slurpee anytime between 11am and 7pm today July 11th! 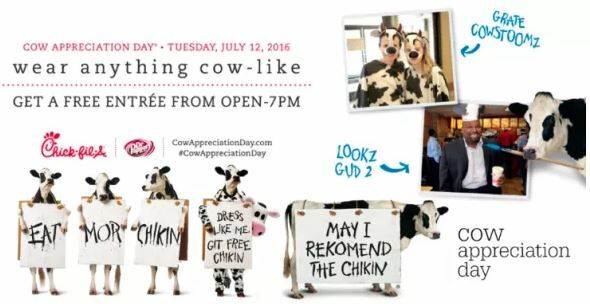 Chick-fil-A – Cow Appreciation Day: Chick-fil-A will give customers dressed in cow attire a FREE breakfast, lunch or dinner entrée from opening until 7PM on Tuesday, July 12th! Cow attire includes items like a cow-spotted scarf, purse, hat or other accessory. Kids can also score a FREE Kid’s meal for dressing in cow attire! Krispy Kreme – order any dozen doughnuts and get a 2nd Original Glazed Dozen for $0.79, July 13th. In celebration of Cow Appreciation Day, Chick-fil-A will give customers dressed in cow attire a FREE breakfast, lunch or dinner entrée from opening until 7PM on Tuesday, July 12th! Cow attire includes items like a cow-spotted scarf, purse, hat or other accessory. Kids can also score a FREE Kid’s meal for dressing in cow attire! NOTE: In previous years, Chick-fil-A gave entire meals to anyone dressed from head to toe as a cow. This year, customers can simply choose from a Breakfast, Lunch or Dinner entree item and need only to be wearing some form of cow attire – not an entire costume. For additional details, click HERE. Today Monday July 11th is also known as 7-Eleven Day! As usual, 7-Eleven is celebrating its big day by giving away free Slurpees. Each customer can get one small-size Slurpee anytime between 11 a.m. and 7 p.m. No purchase necessary! Hurry over and download this Shop ‘n Save Coupon for one Free Reese’s Pieces Peanut Butter Cup Standard Bar.